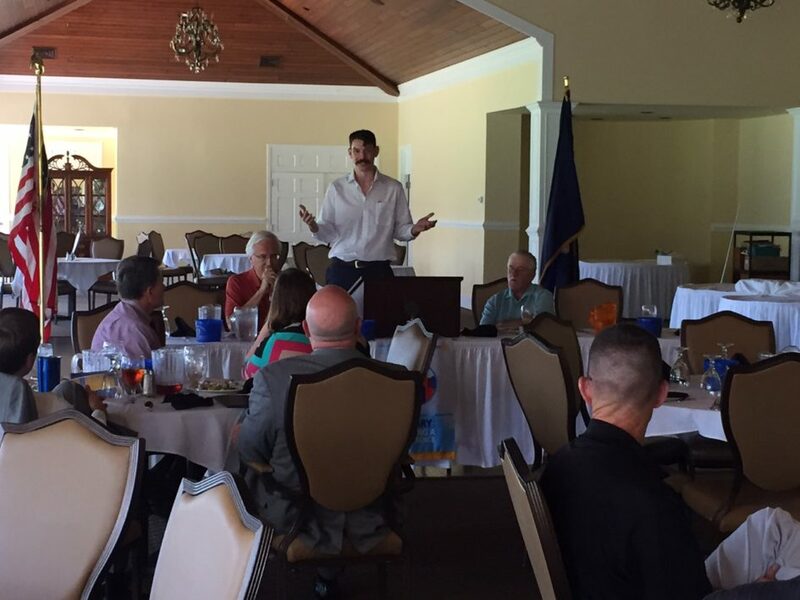 The North Myrtle Beach Rotary Club’s August 15th Meeting was out of this world, as an Astronomy Expert came to share his thoughts about the upcoming Solar Eclipse! Coined the Great American Solar Eclipse, this is the first solar eclipse that has effected the contiguous United States in nearly a Century! The Eclipse, that occurred on August 21st, was known as a Total Solar Eclipse, in which the moon blocked the sun completely from earth! The North Myrtle Beach area was just 70 miles from the Path of Totality, which meant that our local area was in the 99th percentile nationally for the experiencing the Eclipse’s effects! Although it was an overcast day, the Eclipse began in the early afternoon, with the Total Eclipse occurring at approximately 2:45pm, with an elapsed time of 2 minutes. From the Astronomy Experts visit to the North Myrtle Beach Rotary Club, Rotarians knew that the time it takes light to reach earth from the sun is only 8 minutes, and that the ring around the moon during the eclipse were the suns powerful rays bouncing off the moon! We appreciate the visit to our club, and arming us with some valuable information before witnessing history, The Great American solar Eclipse!